When I first moved into my new flat there was a lot of work to do, the kitchen needed replacing, a new bathroom was needed and all the carpets needed replacing, even though they were good carpets, they were all matted and covered in stains. The previous owner had also had some cats, which had left their mark all over the place. All of this work was going to cost a lot of money, something that I just didn’t have at the time. A friend of mine recommended getting my carpets deep cleaned as she said she had done it and her carpets had come up as new. I was sceptical, my carpets were in a sorry state and I didn’t think anything would have brought them back to life, but I had to try. I decided to use a professional deep carpet cleaning service. Yes I could have rented a cleaner but I wanted a really deep cleaner, after all, my carpets were awful. I chose carefully because some services don’t use powerful cleaners, just ones that use a lot of shampoo and look great for a day or two afterwards, but then go back to their woeful state. This was no good for me, I didn’t have the money to risk. After some research, I called up Sam’s Cleaning and Ironing services who were really knowledgeable and advised me on what to do before the big day. I hoovered my carpets thoroughly to save time (although they were happy to do this) and moved as much furniture out of the way as possible. On the day, Sam’s Cleaning and Ironing services turned up on time and were really professional. They told me to just go and relax while they got on with the hard work. I didn’t need telling twice! I would say the whole process took just a few hours, the effect of the deep clean was immediate. The strong smell of animals had gone, replaced by a wonderful fresh odour and the carpets looked unbelievably new. All the stains had gone, the pile had been refreshed, the pet hairs had been eliminated and they were soft to walk on. I was advised to try and avoid walking on the carpets for a day and to give them a hoover the following day. I followed their advice and my carpets kept the newly cleaned, fresh look that the deep clean had given them months later. I am so glad that I chose to get my carpets deep cleaned instead of buying a whole houseful of new carpets. I saved such a lot of money. I would recommend this service to anyone on a budget who wants to renew their carpets instead of replacing them. If I was to sell my new flat I would probably get them cleaned again as it made such a difference to the place. I bet my flat would have cost more money if the carpets had looked as good as they look now. It’s also a nice feeling to know your carpets are hygienic, the deep clean gets rid of any mites or insects lurking in the pile and when you haven’t bought them from new you never know what might be underneath the surface. This would be a great service for landlords too, just a little big of expenditure to reap the benefits. I honestly wish I had done this with the other flats I have owned over the years I would be much better off now! 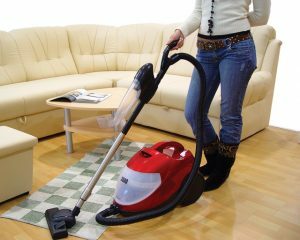 If you are looking for a fresh new carpet look, contact Sam’s Cleaning and Ironing services on 07712 227517, or contact us on our website!